No, there is no way I could possibly fall asleep tonight. How could I? Instead of counting sheep I cannot stop reflecting on this long and eventful day that passed. My boldest dreams appeared to be coming true. Although I am not a discoverer of a new island, eventually I can leave my footprint on a more uncommon place. 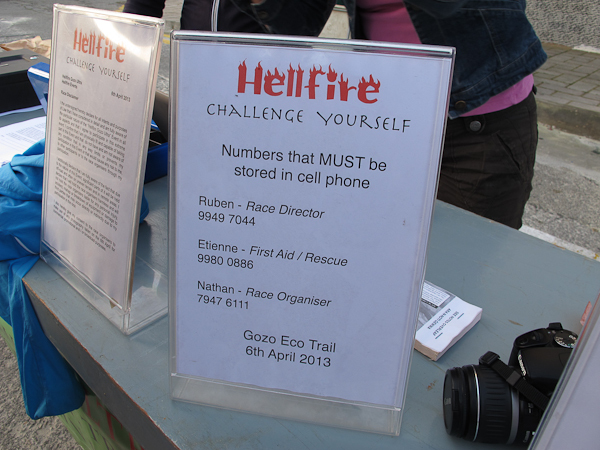 In fact it is not so easy to find an almost unknown racing event, especially if you are a collector of marathon and ultra-marathon races. The island of Gozo’s coastline totals 43 km with its longest stretch being 14 km wide. To surround the 67 km² large area you need to walk or run 55 km ascending 1400 m of terrain. 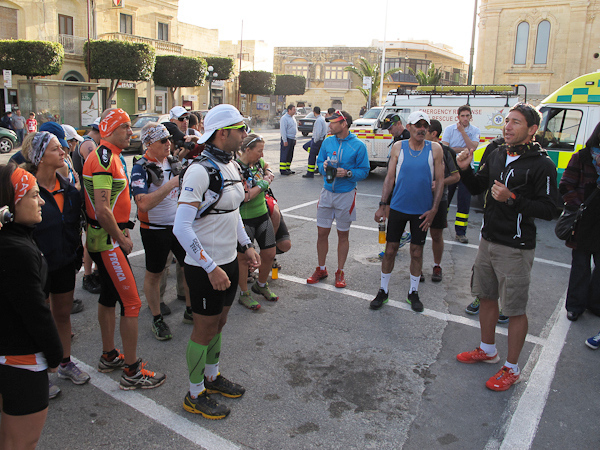 The race – or to be more precise the discoverer-trail – is the perfect chance to combine sports and to experience the diversity of the culture and nature of this lovely island. 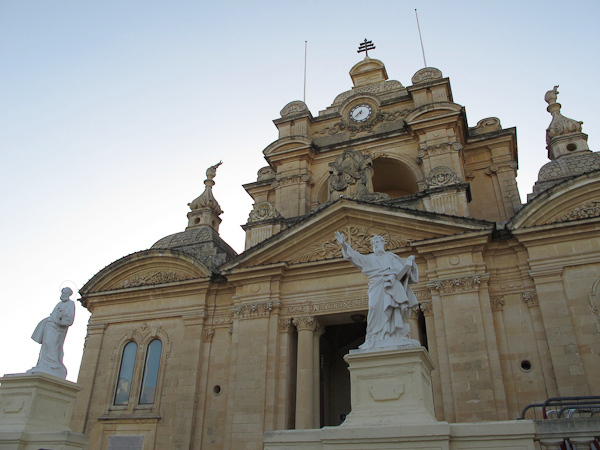 Gozo is located about six kilometres northwest of the main island of Malta. Once upon a time, Greek mythology says that Odysseus was stranded on this island as a castaway. Gozo is nestled in the Mediterranean Sea just 90 kilometres from Sicily and is so small that no airports or even train stations are needed. On the few streets you have to drive on the left and all traffic is controlled by just one single traffic light. Nevertheless should you by any reason get a speeding ticket, the payment can be made in Euros. However, this island paradise is best explored on foot and the highest elevation is reached at 195 meters above sea level. Admittedly, five weeks ago I did not know much about the island that is the Republic of Malta. 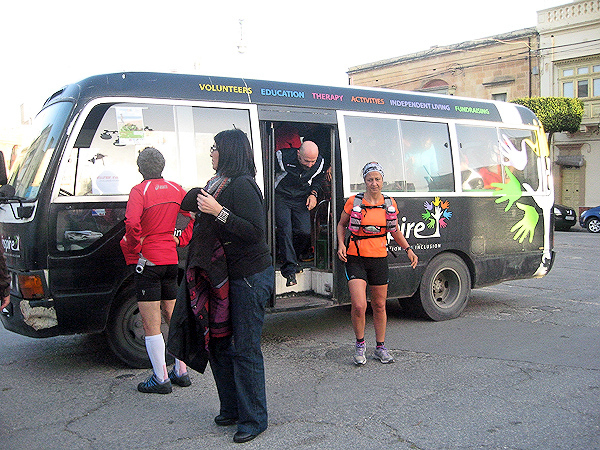 It was more than a lucky coincidence to discover Gozo on my own following the Malta-Marathon. It was just an appetizer but I enjoyed it and I felt like an explorer on an expedition in a dreamland. It was like tasting the forbidden fruit; I did not want to stop exploring. Odysseus was able to resist the lure of the love-crazed Calypso and left after seven years. 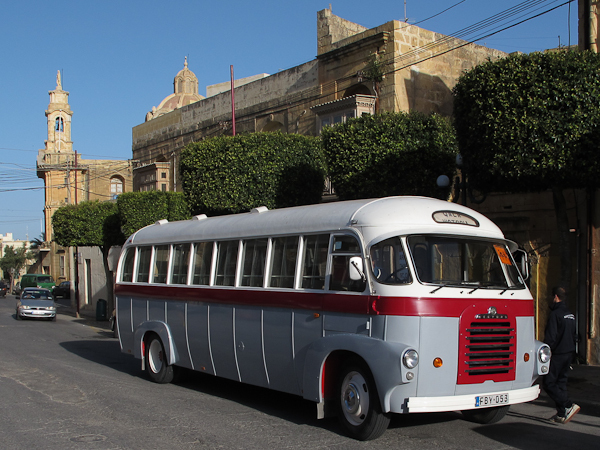 Sadly, I had to stop my adventure of surrounding Gozo as scheduled after one weekend. There is a direct flight connection between Frankfurt and the Malta International Airport (Luga) that is less than a two and a half hour flight. A long line of travellers waits before the cabstand: while in Germany cab rides are paid when arriving at your destination, here it is common to pay the fare beforehand. I inquire about the cost of a fare to the ferry port Cirkewwa: 35 Euros. The express bus X1 departing right next to the cab stand costs only 2.20 Euros. No doubt – I decide to take the bus. 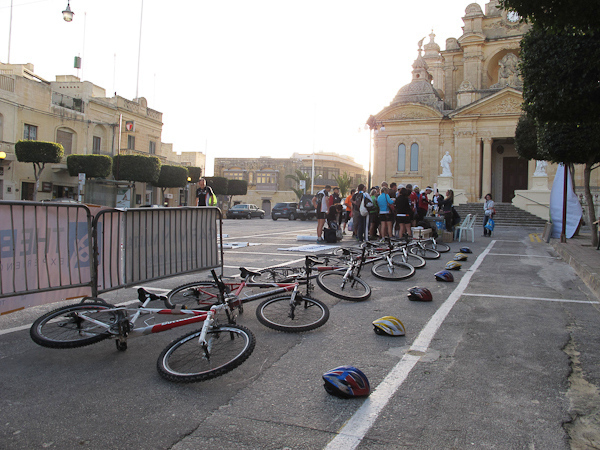 One hour later I arrive at Cirkewwa port and just miss the ferry to Mgarr – by the way the only public route to and from Gozo. As the ferry has a 45 minute schedule I use the time to relax enjoying the sun. Jacques Costeau’s famous research vessel Calypso was also once a ferry crossing the Comino canal before he acquired it and made it famous. I sail past Comino, the third and smallest occupied island of Malta, and I just finish my cappuccino as the ferry approaches Gozo. 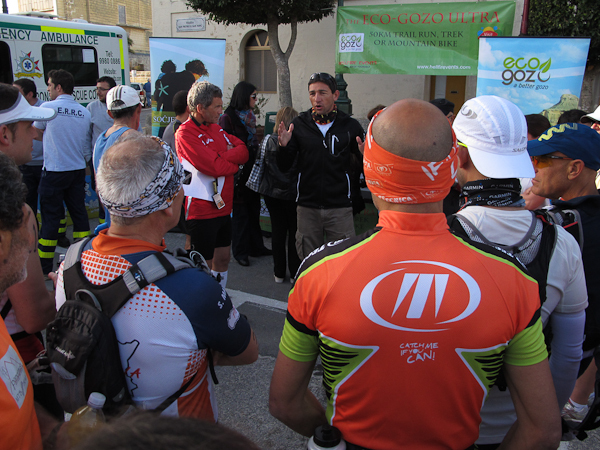 Antonello – the race director – is already waiting for me at the pier. 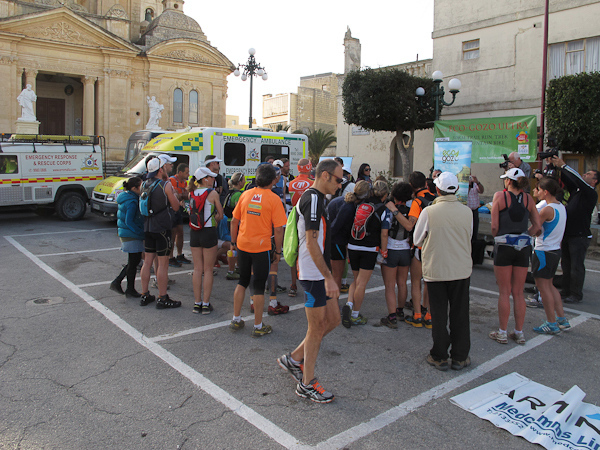 Comfortably he guides me through the countryside of peaceful Gozo. 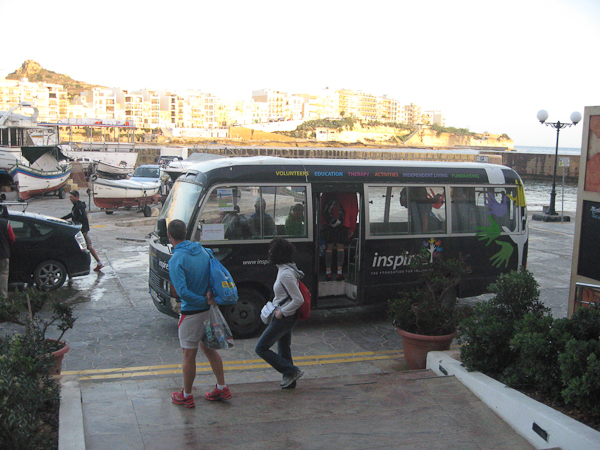 Our destination is the northern coast in Marsalforn, the largest resort of the island. We stop at the four-star hotel Calypso, my home for the next two nights. The booked room is bright and spacious and from the balcony I have a wonderful view on the bay, the boardwalk, the open sea and the beautiful pebble beach. I decide to start the thrilling weekend with a walk through this former fishermen’s town followed by a piece of cake on the rooftop café of the hotel. The special Mediterranean, leisurely appearing rhythm of life infects me. Or is it the change or air that makes me feel so relaxed? Tonight I prefer a beef filet over the ususal pre-race pasta-dish. As we shall see, this was an excellent decision. A clean hotel with bright and spacious rooms with a delicious early morning breakfast – that does not sound very special compared to other hotels in the world, right? But this morning’s marathon participants are provided an extra early breakfast enjoying a comprehensive buffet and attentive service – something runners do not experience every day. 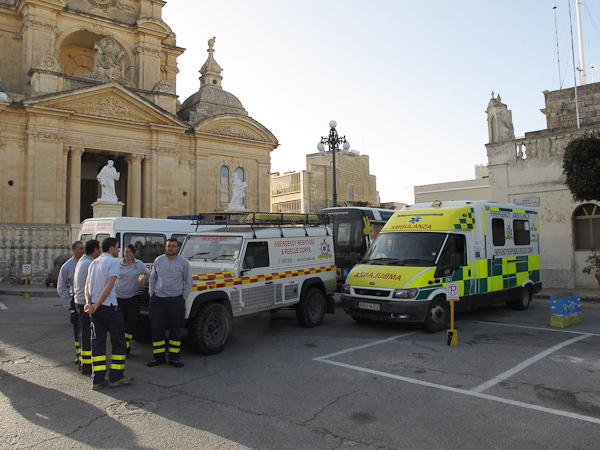 Gozo has 30.000 inhabitants – or so it is estimated. Including all racers it has a few more today. 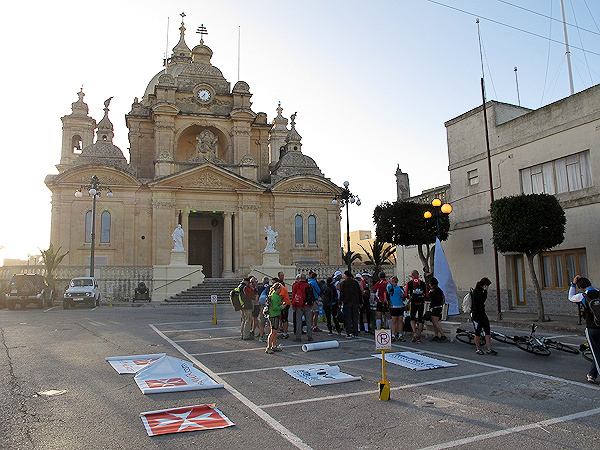 According to participant statistics, Italy is represented by the second-largest group of athletes only beaten by the number of runners from Malta. 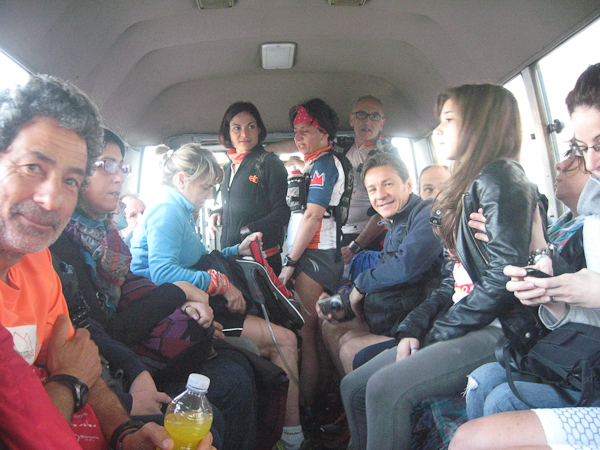 So I find myself pressed in-between cheering and joyful singing Italians after entering the crowded bus. 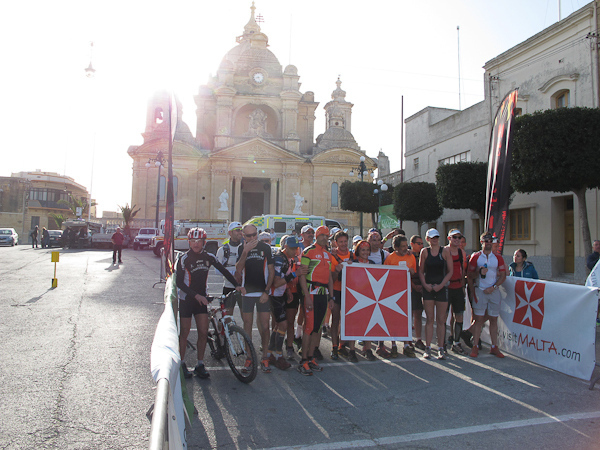 In just a few minutes it brings us - bucking and with hard suspension - to Nadur in the northeastern part of the island. 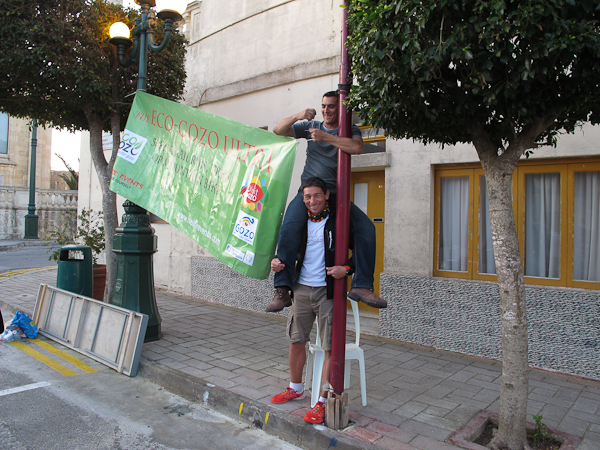 Below the Nadur Parish Church, marking the highest point of the city, the Hellfire-banner is hung tightly in the air. The clear blue sky and the pleasantly warm air make perfect running conditions. The island is peacul and quiet. Only the Italian singsong prevents my mind from slipping away. 15 minutes to go until the race starts. With a thick black pen I get my bib number drawn on both upper arms. The colour is neither water nor liposoluble and will remind me for a long time to come what happened today.